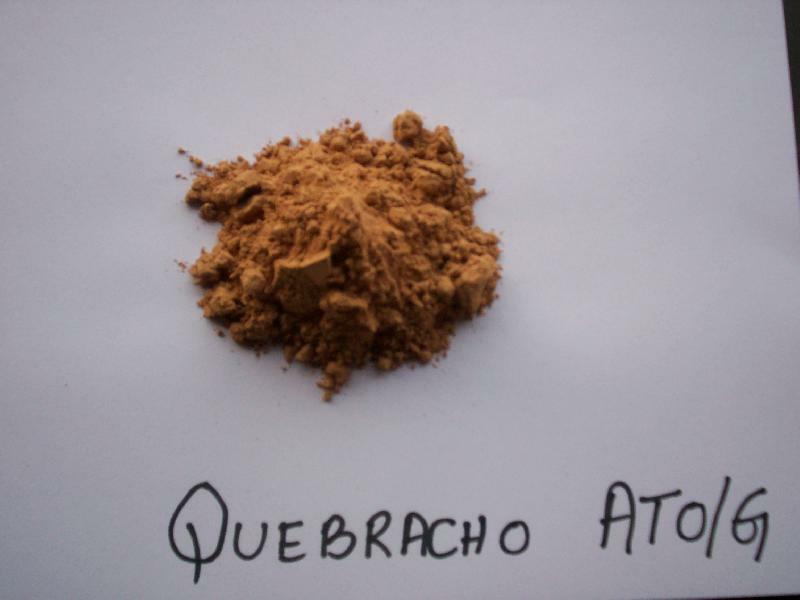 Quebracho Ato G is a powder product obtained by chemicallly treating natural quebracho extract in order to achieve full cold water solubility and containing the largest tannin percentage among vegetable extracts. It is normal spray-dried extract. It is excellent for drum tannage and also for the retannage of chrome leather. Physical Aspect - Light reddish brown hygroscopic powder. Quick penetration at natural pH. Full compatibility with vegetable tans and syntans. It is particularly suitable for vegetable tanning of all kinds of leather, as well as for combined tanning and chrome leather retannage. 25-30% of POPQuebracho ATO G for vachetta tannage ( veg. Leather ). 40% of POPQuebracho ATO G for soles tannage. 3-18% of POPQuebracho ATO G for chrome leather retannage. During the leather production, there may be a risk of iron contamination. In order to prevent this, we suggest to use an iron – sequestering agent such as Pop DS Powder ( 0.2% on the reference weight), which may be added together with the first addition of tanning agents on the tanning or retanning processes. Powder extract dissolution should be performed by means of mechanical shaking. If done manually, it is advisable to work by dissolving the contents of each bag. The use of water at 35 ºC facilities dissolution and prevents lump formation. Using small amounts of sodium metabisulfite and formic acid in tanning liquors and processes lightens the colour and improves the appearance of the end-products. Storage : Popquebracho Ato G maintains its characteristics unchanged if properly stored in dry premises protected from sunlight in closed bags. Packing : Popquebracho Ato G is presented in powder form, dedusted, and packed in 25 Kgs. fine HDPE bag nett weight.